Unbeaten bantamweight contender Melvin Lopez will face Jesus Martinez tonight, matchmaker Melvin Rivas confirmed to BoxingScene Thursday evening. The 10-round bout will take place at the Miccosukee Indian Gaming Resort in Miami, Florida. Lopez (18-0, 10 knockouts), who is originally from Managua, Nicaragua and now resides in Miami, Florida, is currently ranked number five by the WBA. In his last bout on Dec. 7 in Tampa, Lopez won a one-sided decision over veteran Aldimar Silva. 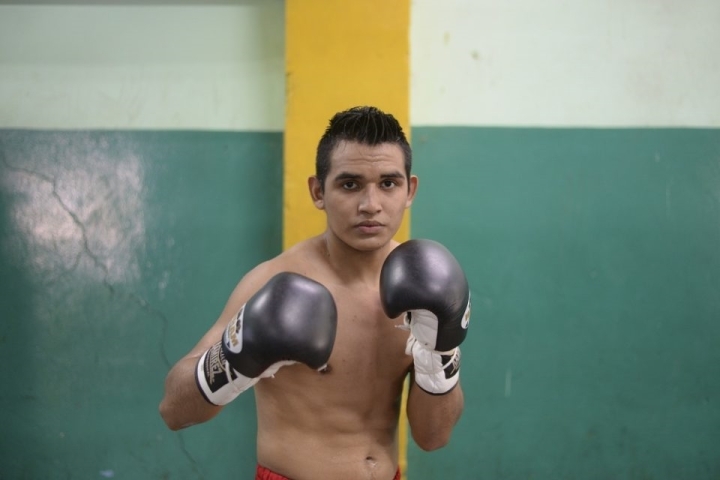 The 21-year-old Lopez was very active in 2018, fighting six time. Lopez made his pro debut in September of 2015 at the age of 15. Martinez (25-6, 12 KOs), who resides in nearby Hollywood, Florida, last fought on Mar. 1 in his home country of Colombia, defeating journeyman Luis Carrillo by unanimous decision over six rounds. The fight snapped a three-bout losing streak, which included losses to junior featherweight contender Azat Hovhannisyan and unbeaten Ruben Mass. The 38-year-old Martinez has lost five of his last seven bouts. In junior welterweight action, former world lightweight title challenger Ismael Barroso will square off against Enrique Martin Escobar in a 10-round bout. The 36-year-old Barroso (20-3-2, 19 KOs) last fought ton Aug. 18, when he was knocked out by unbeaten Batyr Akhmedov. Barroso has lost three of his last four bouts. Originally from Venezuela and now residing in Miami, Barroso’s most notable bout was a knockout loss to Anthony Crolla in May of 2016, a fight he was winning. Escobar (17-5, 14 KOs), who resides in Buenos Aires, Argentina, has lost back-to-back fights to Mikael Zewski and, most recently, Steven Wilcox. Fringe welterweight contender Harold Calderon (18-0, 11 KOs) of Miami will face veteran Carlos Winston Velasquez (26-34-2, 16 KOs) in a 10-round bout. Unbeaten junior featherweight and Cuba-born Neslan Machado (15-0, 8 KOs) will square off against Brazil’s Aldimar Silva (21-16, 13 KOs) in an eight-round bout. Welterweight Armando Alvarez (18-2, 12 KOs), from nearby Key West, will face Juan Jesus Rivera (19-23, 13 KOs) in an eight-round bout. Tonight will be the inaugural card for first-time promoter Laura Ching. I like Barroso. He's a fun fighter to watch.